Meeting 6:30 p.m., Presentation at 7:15 p.m.
People from the Delaware Bayshore villages, much like barrier island residents, don’t debate climate change; they live it. Flooding tides are getting higher and more frequent, and coastal storms are ever more destructive. Islanders also live surrounded by amazing natural resources and landscapes, including many of NJ’s most cherished species. 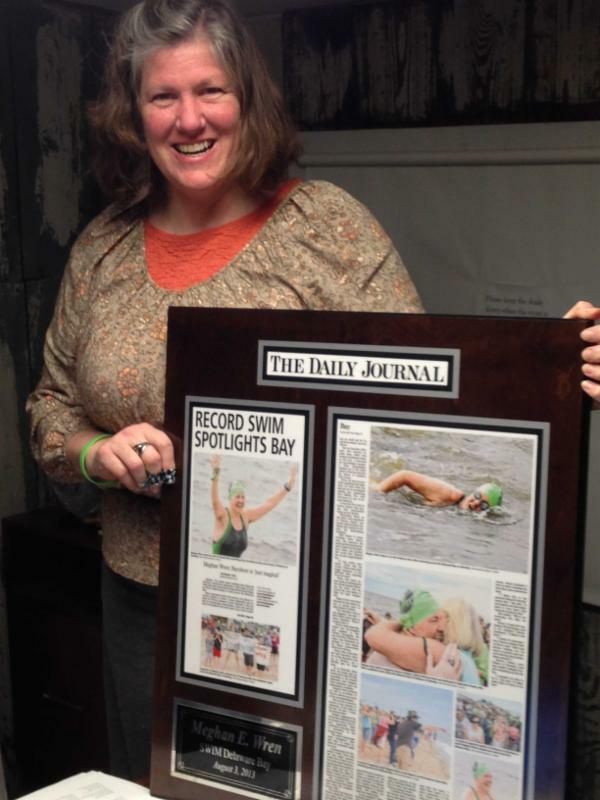 Meghan Wren, Founding Director of the Bayshore Center at Bivalve, recent Ah Why Knot Award Recipient, advocate for the Bayshore and its people, and the woman who swam across the Bay, will be presenting on Bayshore villages’ issues and their responses to sea level rise. As a resident of Money Island and leader in the development of Cumberland County’s Bayshore Plan, Meghan speaks from a wealth of personal experience adapting to rising tides. Join us to learn how communities are responding to rising waters and how they are affecting homeowners, traditional economic pursuits, and environs. Meghan will also address the Bayshore villages’ issues as a microcosm of the country’s larger concerns, including options for the future of coastal communities, the importance of resource-based tourism, and discussions on when to retreat and when to enlist measures of sustainability. Jennifer Coffey’ s talk will provide an overview of the status and content of the State Water Supply Plan, including projected deficits for about half of the Garden State by 2020. Jennifer will also provide a briefing on water quality and water infrastructure. Currently the Executive Director, Jennifer joined the Association of New Jersey Environmental Commissions (ANJEC) in July 2014. 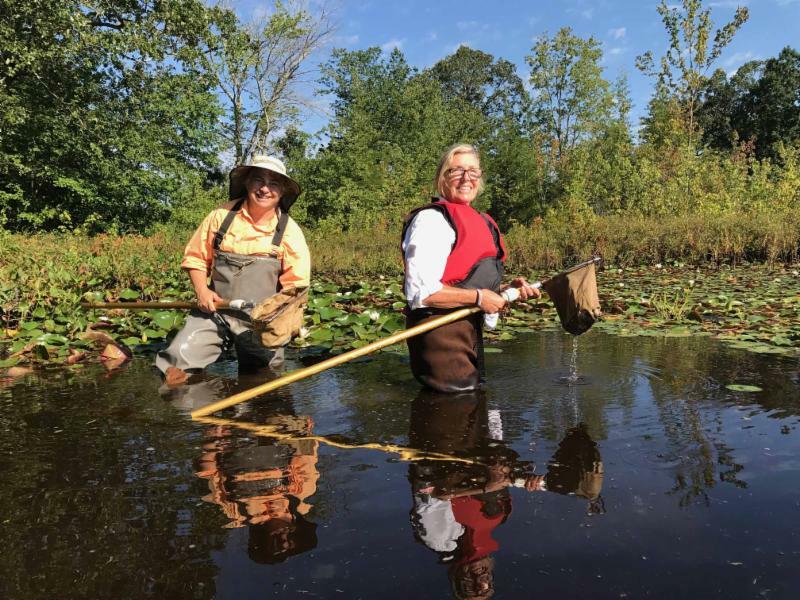 For 10 years prior, she served as the Policy Director for central New Jersey’s first watershed association, the Stony Brook-Millstone Watershed Association. She chaired the Upper Freehold Environmental Commission for seven years and also served as a member of the Planning Board. 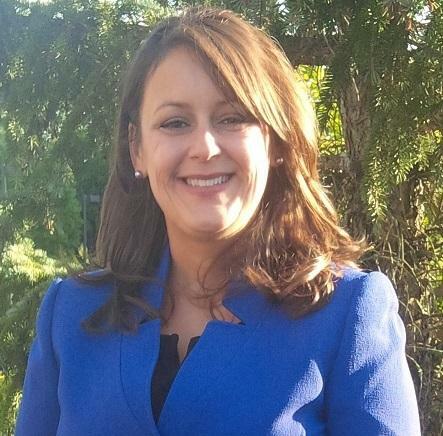 Jennifer is a member of the New Jersey State Water Supply Advisory Council, New Jersey Society of Women Environmental Professionals, and New Jersey Women’s Political Caucus. She holds a Bachelor’s Degree in Communications from Stockton University and dual Master’s Degrees in Environmental Policy and Environmental Science from the New Jersey Institute of Technology. Existing trustees nominated for continued service are those whose terms expire in 2017 and who are nominated for service until 2020: Jody Carrara, Thomas Talalaj, Dr. Mary Steinacker, and Gary Moellers. All 2020 candidates are returning board members. Mary Watkins will be retiring from the Board this term. For her seat the Board is recommending Dennis Palmer. Sitting trustees from the cohort of 2018 are Jane Morton Galetto, Anthony Klock, Sue Fenili, and Mary Ann Russell. The cohort of 2019 consists of Irene Bird, Susan Leopold, Leslie Ficcaglia, Suzanne Olah, and Ethan Aronoff. In addition to the annual election we will be presenting the Presidential Service Awards. These are given to individuals who have accumulated numerous hours while increasing our capacity to do good works. September 27th & October 25 – CU Walks in Waltman Park – Outdoor Explorers led by Wendy Walker, Christine Brown, and/or Karla along the Maurice River Bicycle and Walking Trail. Meet at the CU Maurice River office at 9:15 a.m. and depart to explore the natural and cultural resources on this urban footpath. 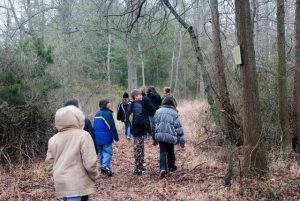 Use our new park check-lists for each of the walks and let’s see how many critters we can spot! IMPORTANT – sign up in advance; in fairness to the leaders we want to be sure there are always participants. Tuesday, September 19th, 9 a.m.– Explore Waltman Park where the September flora are usually a real treat! Saturday, September 30th (new date from original calendar) – National Waterways Cleanup: meet at the CU Maurice River office at 9 a.m. and participate in a nationwide cleanup. We are presently working with the Cumberland Co. Improvement Authority to determine which site CU will be tackling. 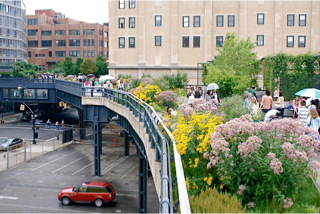 Experience a unique kind of rail-to-trail program above a city: the NYC High Line Excursion. Carpool to the train station in Hamilton and take the train to the city. Led by Elayne Sama as a seasoned NYC visitor. CLICK HERE to view a 4 minute film, “High Line History,” narrated by Ethan Hawke. More details will follow by email. 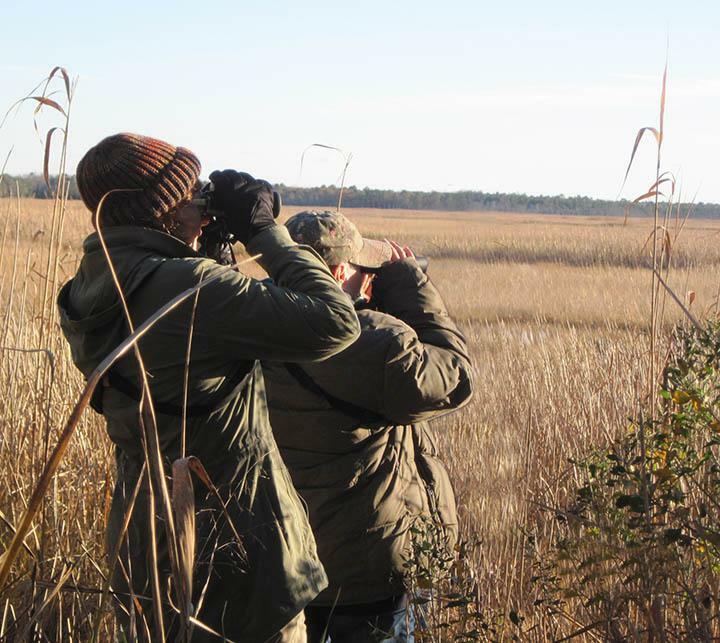 Saturday, October 21st – Join us at 9 a.m. for a walk at the Peek Preserve and a chance to experience the beauty of Maurice River’s vistas decked out in fall colors. Thursday, October 26th, 4 p.m. departure – We board Capt. Dave’s boat for a cruise down the Maurice River. Bring your binoculars, notebook and pens; between Capt. Dave and Jane’s experience and knowledge you are bound to learn a lot of history about the Maurice River’s reaches and the wildlife that lives in them. 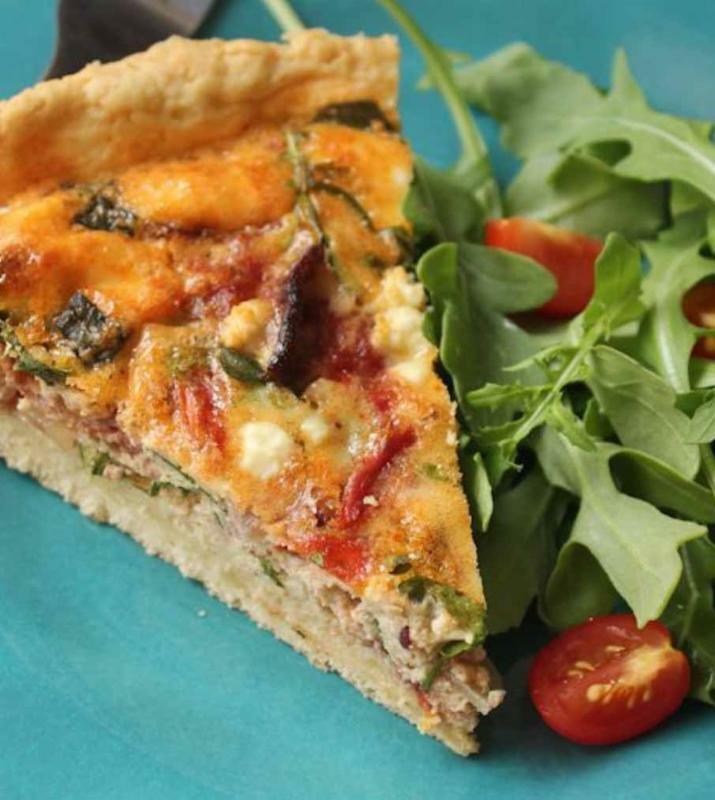 More details will be sent by email – anticipated food and cost are quiche, salad and spirts for $30 a person. Tuesday, November 14th – Meet at Waltman Park at 9 a.m. and car- pool to Maple Ave. Trail near Turkey Point. 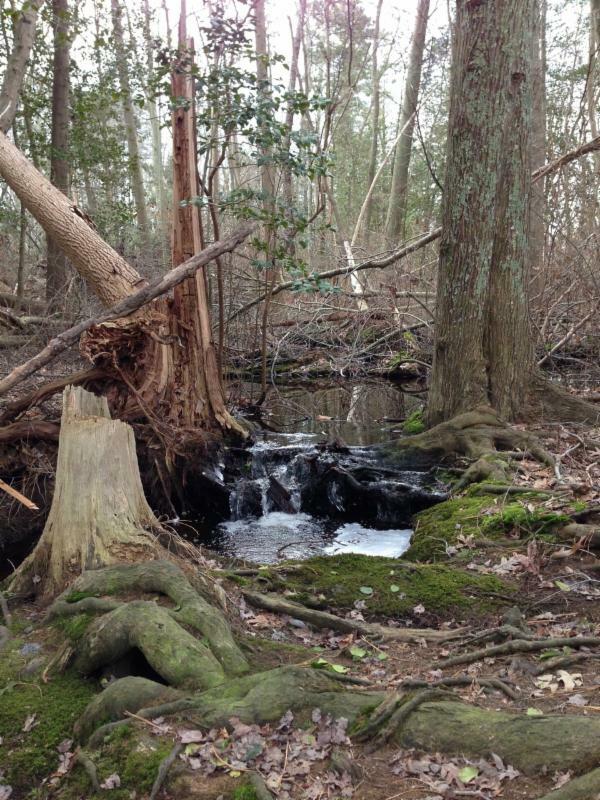 Saturday, November 18th – Explore Waltman Park. Meet at 9 a.m. at the park. 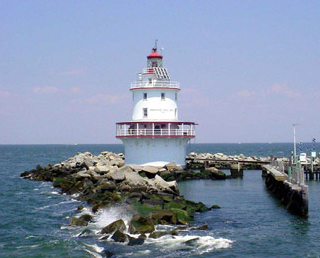 We will hold two Historic Lighthouse Cruises on the Delaware Bay aboard the Bonanza II on September 23 & 24. Five lighthouses will be on the tour: Brandywine Shoal, Fourteen Foot Bank, Miah Maull Shoal, Elbow, and Cross Ledge Lighthouses. 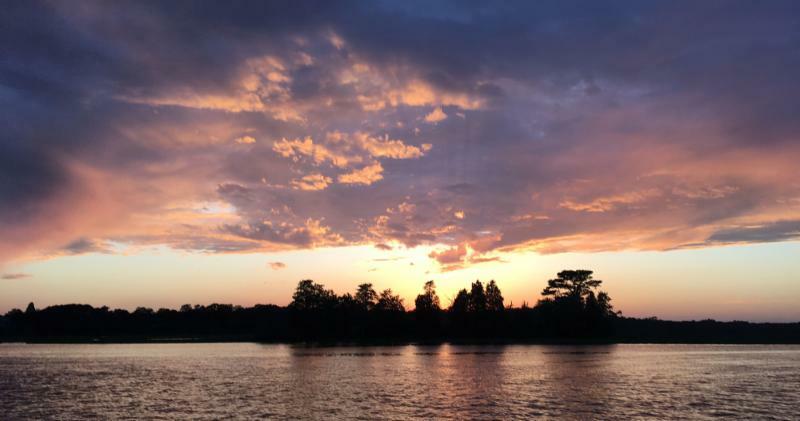 Departure is from the Fortescue Dock #5 and the trip will be from 4 p.m. – 7 p.m. Return should be just in time to catch the best part of the sunset from the Fortescue beachfront. Snacks of fruit, nuts, veggie dip, dessert, and soft drinks will be available. We predict this will be a favorite event this year and in the future, so make your reservations soon. Each trip is limited to 50 people; cost is $50 a person. September 23 is already sold out just from email notifications. Our Fall Fundraiser takes place at La Bottega Art Gallery and Winfield’s on Monday, September 11th. This event is held every other year so don’t miss out. Begin your evening at 6:00 at La Bottega, 508 High St., and then stroll to Winfield’s for a 7p.m. buffet dinner. Cost is $150 per person. Seating is limited; tables accommodate 4-6 people. RSVP to Doreen if you are interested, at doreen.homan@cumauriceriver.org or 856-300-5331. Saturday, October 7th, enjoy the fall foliage on the Maurice River at 9:30 a.m. Put in and take out will be at the Galettos’ home, making for easier logistics. Canoes will be on hand for those who do not have their own craft. You must sign up in advance for the paddle and/or dinner. Return in the evening at 5 for a campfire potluck, or forgo the paddle and simply come join us for dinner. 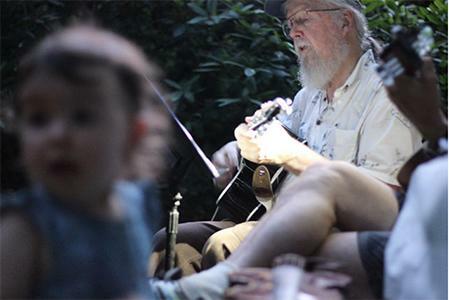 Walt Birbeck plays at a prior campfire – remember your musical instruments! Thursday, October 12th, 2017 at 6:30pm – “The Secret World of Plants and Pollinators” by Jennifer Bulava. This presentation will focus on the incredible ways in which plants communicate with animals. 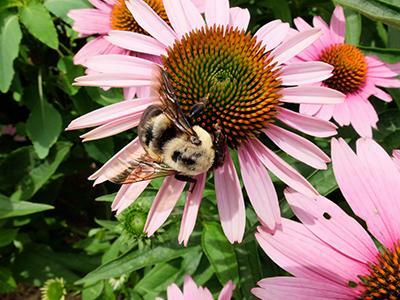 Flowers are not merely pretty colors and pleasant smells for us – it’s all about the pollinators. Discover amazing strategies of plants, the colors that pollinators see, and ways in which both plants and animals can help or deceive each other. Participants will find that taking a much closer look at flowers can open up an entire hidden world that is more complex and fascinating than one ever imagined. 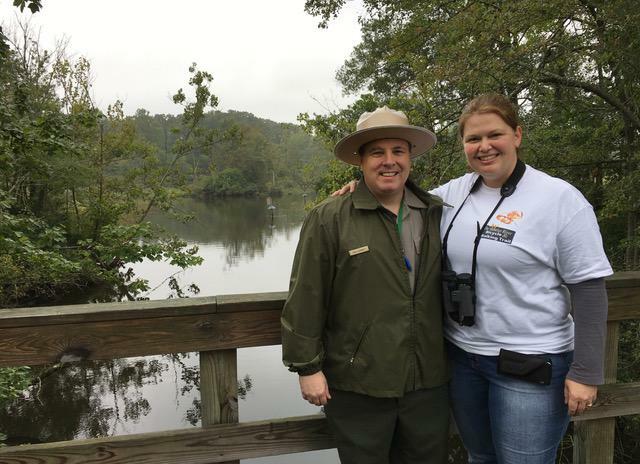 Jennifer Bulava is the Lead Park Naturalist for the Burlington County Park System. She holds a Bachelor of Science degree in Natural Resource Management with a specialization in Conservation and Ecology from Cook College, Rutgers University. 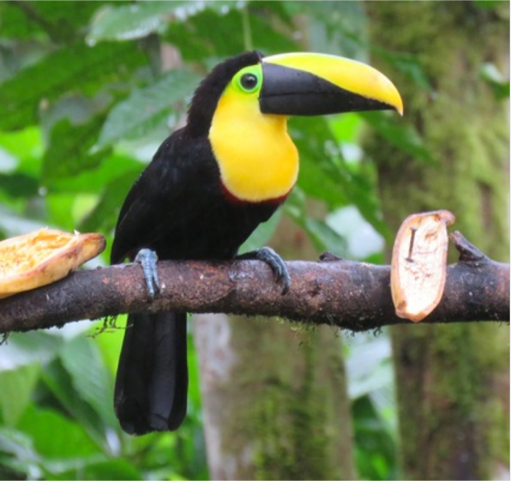 In November a group of excited CU members is traveling to Ecuador to enjoy birds and Ecuadorian culture. The VENT tour guide will be Paul J. Greenfield, author of The Birds of Ecuador. 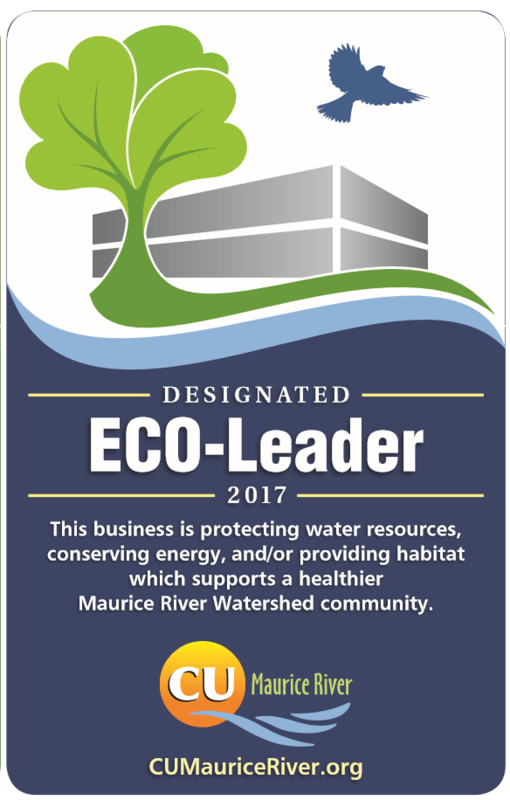 Stewardship Designation Program – CU Maurice River has developed stewardship checklists that work as applications to include your residential, corporate, or large tract in our Stream-, Wildlife-, or Eco-Friendly programs. 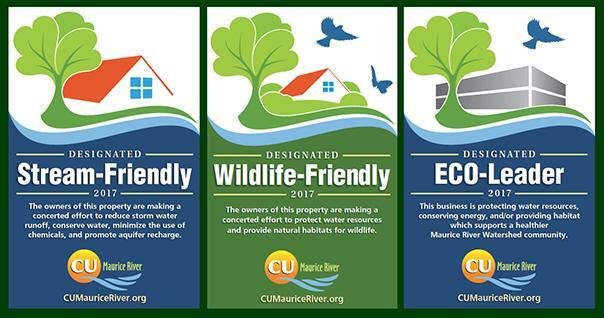 Contact Karla.Rossini@CUMauriceRiver.org to have your property designated in 2017. 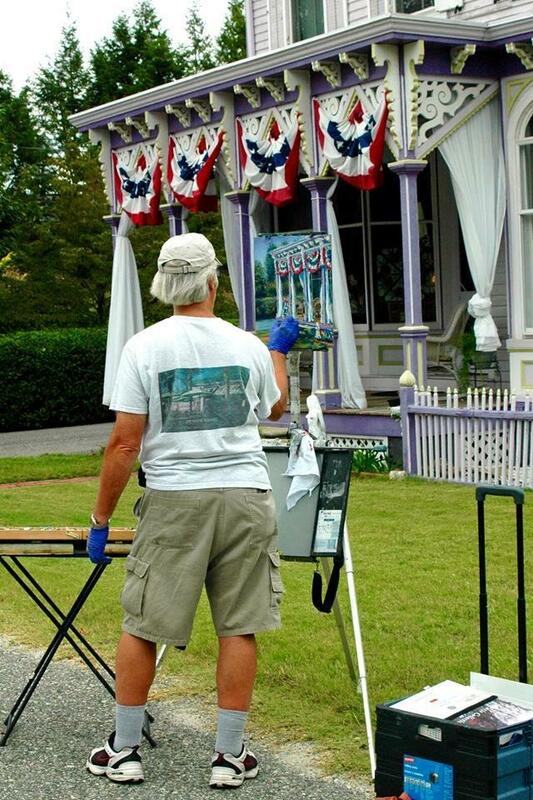 The ever-popular Outdoor Artists’ Day at the Mauricetown Historical Society in Mauricetown, NJ, will be held September 9th (likely 9:30-3:30). 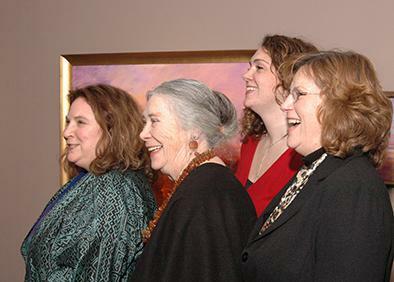 This informal affair features artists busy at their easels, music by local musicians, a food vendor, and the most wonderful sweets by Historical Society members. Generally we have a group mural and/or Paint-a- Landscape activity on that day. For this event contact Doreen.Homan@CUMauriceRiver.org or call 856-300-5331. Wendy Walker making a work party fun! Fall planting on September 9th, 9a.m. There will be lots of plants to get in the ground and some structures and signage to tackle. If you are interested in helping please call Karla. Keep an eye out for more work group dates in your emails. The CU & Neighborhood Wildlife Garden is in full swing. 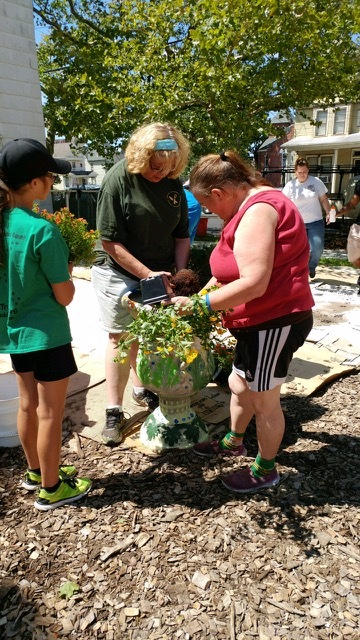 The City of Millville, Holly City Development Corp., and CU Maurice River have been partnering on a wildlife garden at 213 N. 3rd Street, Millville, NJ. A waterline connection has been installed. CU Maurice River volunteer work crews have been involved in conjunction with Holly City Development Corporation’s Safe Play Streets program. This summer Pine Street between 2nd and 3rd Streets has been closed to traffic and open for fun. Children in this program have been stopping by to help our volunteers prepare for planting this fall. The course of the path has been laid using wood chips, and the beds are presently covered by cardboard to smother existing weeds and other unwanted vegetation. A group of children planted some of the first flowers on site. 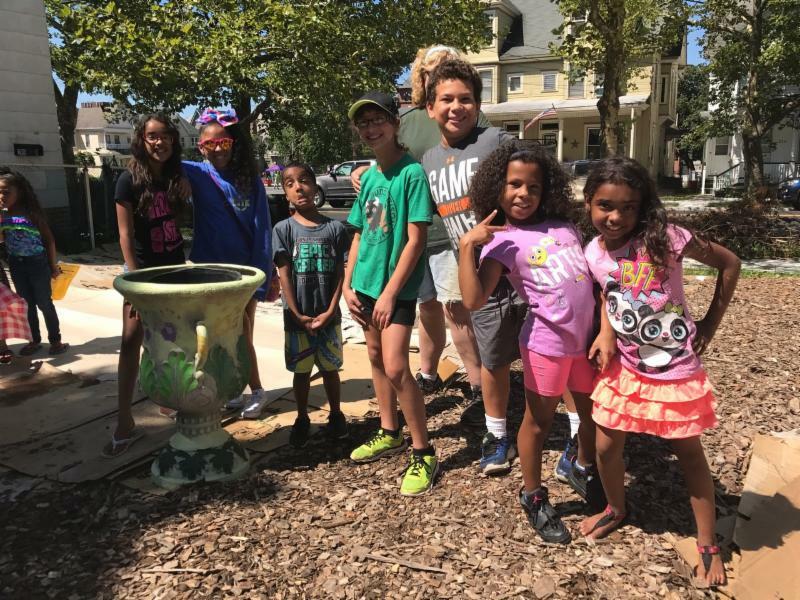 On another occasion children decorated an urn with their hand-prints; they also painted rocks with pictures of flowers and wildlife that might be found in the garden. These rocks have been hidden around town as part of a larger town-wide experience. A special thank-you to the Millville Parks and Engineering Departments as well as to the Water Utility. 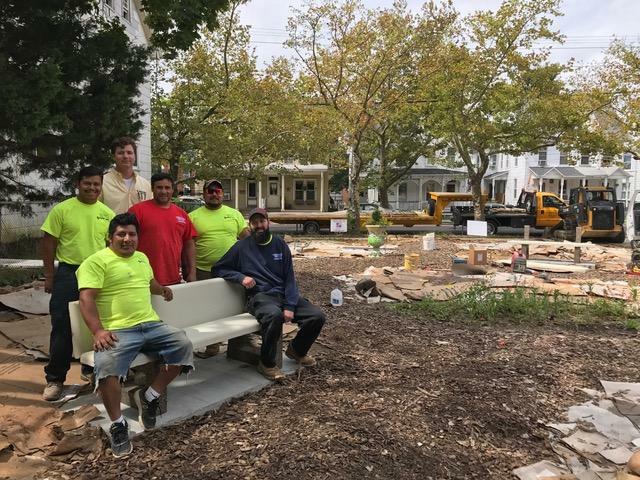 Local corporations are helping too: Dunrite donated woodchips, Inspira donated lots of cardboard, Acu*Print donated their graphic expertise, and Northeast Precast donated benches and installation. October 20 – Longtime CU Maurice River member and Millville’s artist laureate Pat Witt will have her art opening at the Riverfront Renaissance Center for the Arts. CU Maurice River will be sponsoring the exhibit. Come out for a grand show of support for one of our nonagenarians, a truly special person. 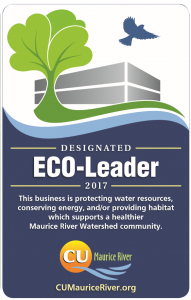 Join CU Maurice River and the Vineland Chamber of Commerce for a morning of exploring what local Eco-Leaders, like the Landis Sewerage Authority, are doing to protect Down Jersey’s community, environmental, and economic vitality. After lunch, John Parke of NJ Audubon’s Corporate Stewardship Council will provide more insight on conservation resources for businesses and the benefits of implementing best-management practices on your grounds and/or large tracts. Meet at Vineland Chamber of Commerce at 9:30 a.m. 2115 South Delsea Drive, Vineland, NJ. Tour Landis Sewerage Authority with Executive Director/Chief Engineer Dennis Palmer. At 12:30 p.m. CU Maurice River is sponsoring a Deli Lunch at the Vineland Chamber of Commerce. Then stay for the 1:00 p.m. Presentation on NJ Audubon’s Corporate Stewardship Council & Habitat Restoration Programs with Stewardship Project Director John Parke. On July 27th Pat Sutton presented a “Dragonfly Primer,” at Winfield’s. The event was well-attended; about 70 people came out. A number of people also enjoyed the fare in the dining room before or afterwards. A special thank-you to the Watershed Institute and Century Savings for sponsoring the event. CU Program Manager Karla Rossini gave a presentation on the Wild and Scenic Maurice River at the Clean Communities meeting on Friday, June 23rd at WheatonArts. 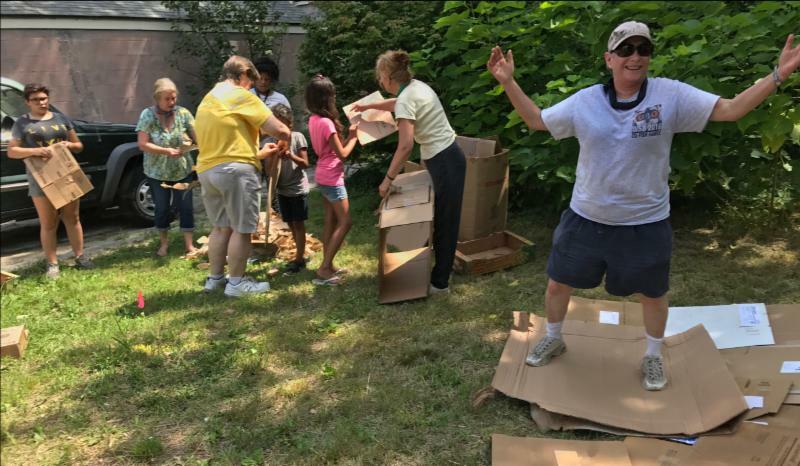 Wendy Walker and Christine Brown continued their leadership of the Outdoor Explorers trips at Waltman Park. The June 21st walk was very enjoyable. Unfortunately the July 26 walk was cancelled because of lack of advance sign-ups. The June 28th Tuesday on the Fly was held on a Wednesday, because the Mt. Cuba Center in Delaware is not open to the public on our usual day. Upon arrival we watched a film on the garden’s mission for advocating for native plantings. Then two tour groups explored the gardens. Afterward we had a picnic lunch together. It was well worth the trip. 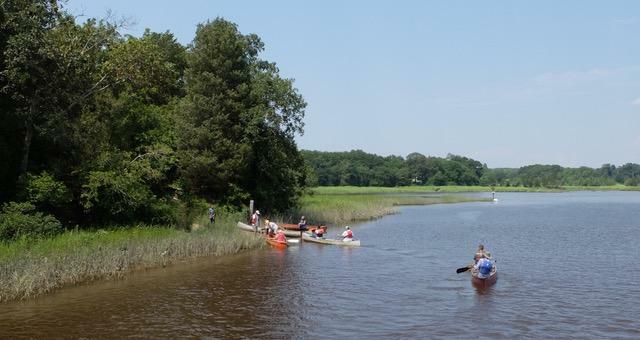 Our annual Shore Trek was on Tuesday, July 18th, when we went to The Nature Conservancy’s Garrett Family Preserve in Cape May. The trip leaders were Mary Watkins, Christine Brown, Karla Rossini, and TNC Staff. The history of the restoration of the meadows was fascinating. In spite of the heat wave folks found the day very worthwhile. 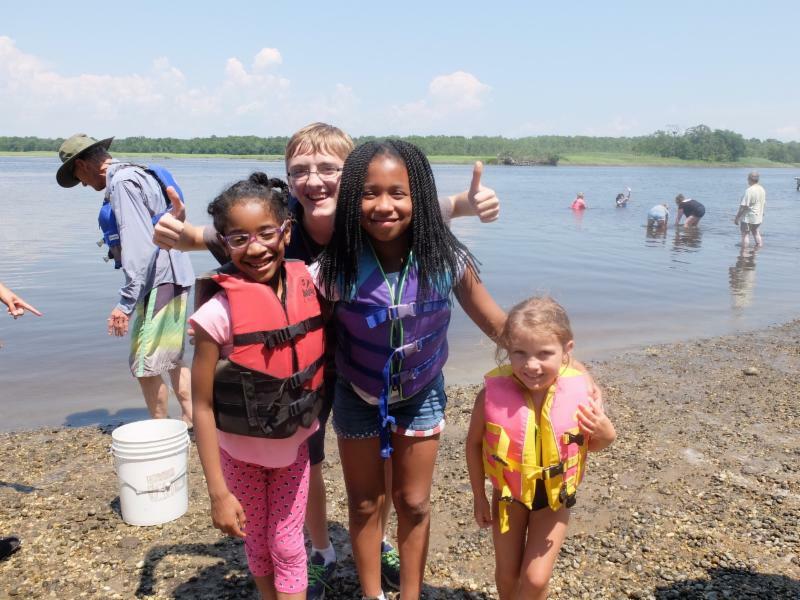 The Citizens United program Connect with Nature continued at Camp Merrywood this summer. Volunteers from CU presented environmental education activities that helped young people discover and appreciate their environment. 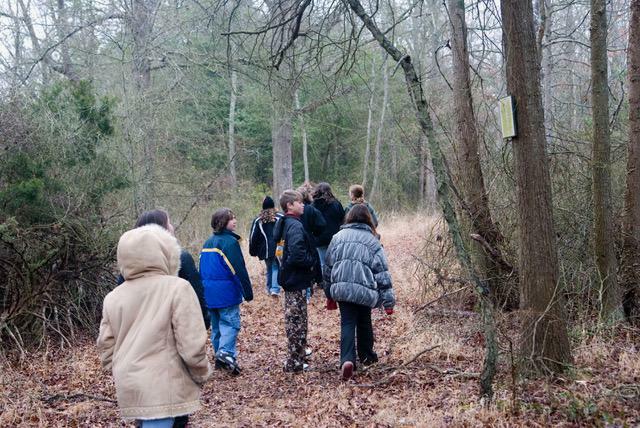 Campers went on nature walks and looked for the presence of animals. They spotted and identified animal tracks, saw feathers, holes in trees, ant lion nests, and many insects. Other activities included constructing birdhouses and feeders and creating wind chimes from objects found around the camp. Listening to nature was fun and it gave the campers a chance to slow down and quiet themselves. The campers also learned about sources of pollution and engaged in an activity promoting anti-littering. Everyone involved agreed that the CU-YMCA connection was very positive. A special round of applause to all those involved in this year’s effort to help make our young people stewards of their environment. 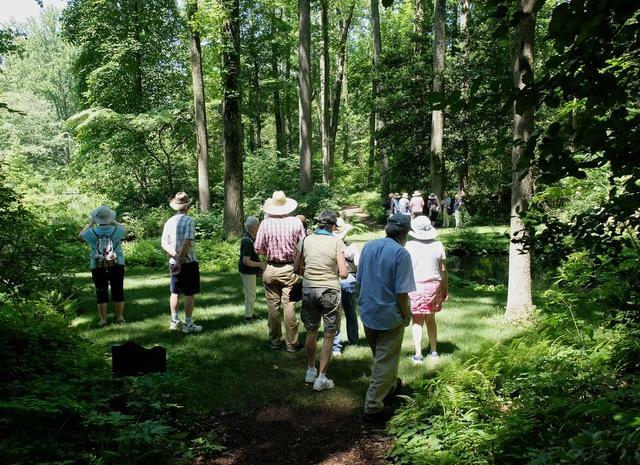 Tony Klock and Karla Rossini led a special Cumberland County Garden Tour on June 24th. Gardens included Galettos’, Waltmans’, Fenilis’, Koenig’s, McKennas’, and Kiefers’. Each garden had something interesting to interpret – e.g. rain gardens, native plants, vegetables, composting, etc. Our hosts were terrific and offered us many different experiences. We ended our tour at Triple Oaks Nursery where the Keifers showed us wonderful hospitality and some folks purchased plants. The Tomlins hosted our potluck campfire following a day of paddling on the Manumuskin River on July 8th. The flora on the trip was amazing; special treats were button bush in bloom and an early sensitive joint vetch plant. Their property was great fun to visit. Lepidopterist Dr. Dale Schweitzer was kind enough to lead us on a moth walk. People enjoyed the farm animals at Tomlins’ and a young goat proved very sociable. Special thanks for the Tomlins who were excellent hosts! Pat Sutton continues to be one of our most popular leader/naturalists. 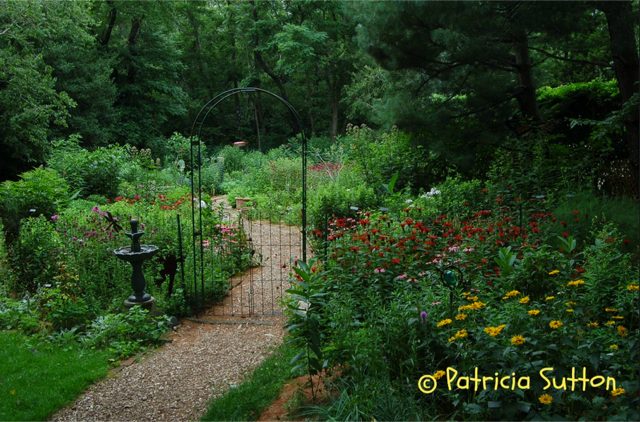 The two tours of her garden in Goshen, NJ were sold-out events on August 12th (41 attendees). Her educator skills are well-honed and her enthusiasm is boundless. The afternoon tour was a bit soggier than the morning but the participants were undeterred in their fascination. Special thanks to Pat for opening her private garden for this lovely and informative visit. All six trips in August for our Purple Martin cruises were sold out, totaling over 420 sign-ups. If you missed this year be sure to join us next year. Captain Mike Rothman of the Bonanza did an expert job of navigating the twisted Maurice and the purple martins did not disappoint. A special thank-you to Allen Jackson, Mary Watkins, Chris Marks, Catherine Busch, Bert Hixon, Kathy Michel, and Kyle Chelius who all interpreted the phenomenon for the attendees. And as always Carl Homan (Doreen’s first mate) acted as a gracious and enthusiastic host on four of the six evenings. CU staff Doreen Homan gets a special round of applause for fielding endless calls over 3-4 weeks to get participants accommodated. One cruise had to be cancelled because of lightning and rain. This turned out to be a very wise decision as the elements were even more brutal than anticipated. 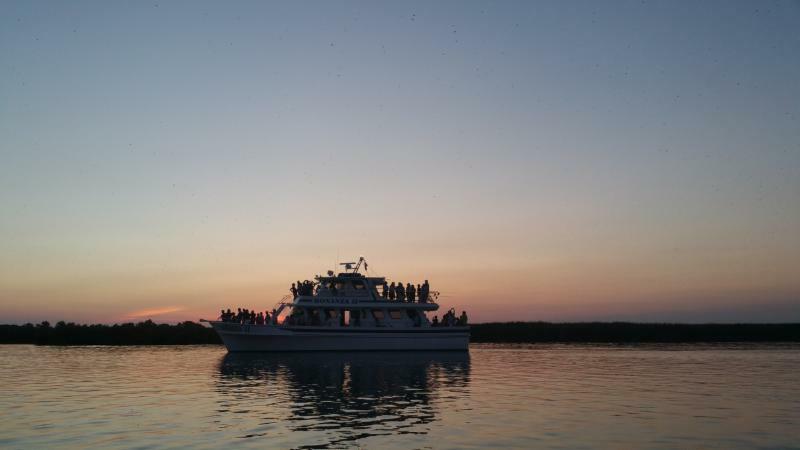 If you missed it, or enjoyed the purple martin cruise and want to get out on the water again, we think you are a great candidate for the Lighthouse Cruises (see Upcoming Events listed above). The 13th Annual Elevate was a smashing success. We had about 50 participants, 22 of whom were hosts. The leaders were fantastic and we all seem to enjoy the event as much as the kids. J. Morton Galetto commented, “I think of the day as being for all of us and a great family experience. 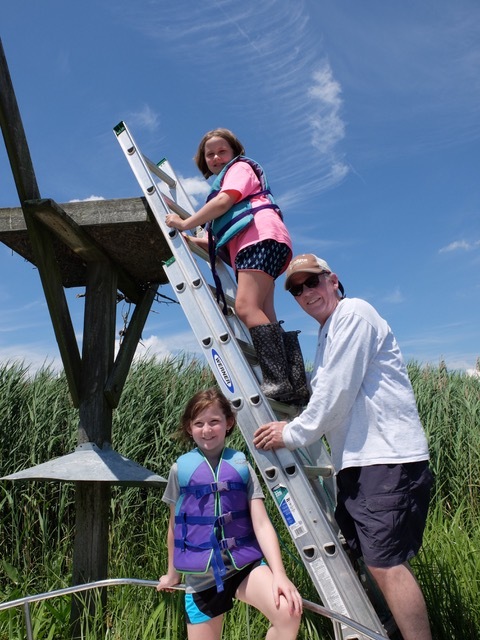 Next year I think we should have volunteers bring a young person to join in the fun.” We all engaged in the traditional activities: we watched a slide show from the previous year, learned about bird watching, paddled, seined, tried out Paint-A-Landscape, and went on a boat ride. A special thanks to the Millville Rescue Squad for monitoring the paddlers. CU Maurice River Wildlife Management Director Allen Jackson reported on a number of bluebird houses. We were especially pleased that he added Landis Sewage Authority to our bluebird landlords. Six boxes were installed on two of their properties. Five broods fledged in all; one box had two broods and four boxes in all produced young. A total of 23 eggs were laid, 22 hatched, and 22 fledged. A great start! We await other bluebird reports; in past years Allen has tallied in the neighborhood of 2100 fledglings from 500 some boxes. Many members report seeing bluebirds on our walks – a very welcome sight! On the whole, purple martins and eastern bluebirds had a successful nesting season in southern New Jersey. Results are directly related to those people (many CU members included) who added nesting units or were diligent in properly managing their birds. While cold rainy weather early in the season caused adult mortality for purple martins and delayed their nesting, it had only a slight impact on our bluebirds. Overall results should show 2017 as a highly successful season for both species. More specific information will follow after the season summary is completed. This summer we banded 64 osprey chicks, making it a poor year for productivity. We believe that the rainy spring impacted success. We also hypothesize that phragmites may be hindering the use of a number of nests or enabling predation. Gary Moellers has prepared a number of holes for posts at WheatonArts that will hold trail directional signs. The signs were installed on Monday the 28th. We expect to have some trail maintenance days this fall. We are continually putting together wildlife management work parties as the need arises. If you are interested in trail work, nest box installation, sign erection, tree planting, and the like please contact Doreen as she is keeping track of folks who wish to be involved. Email Doreen.Homan@CUMauriceRiver.org or call 856-300-5331. Dragonfly nymph sampling took place for three consecutive days, from August 23-25. 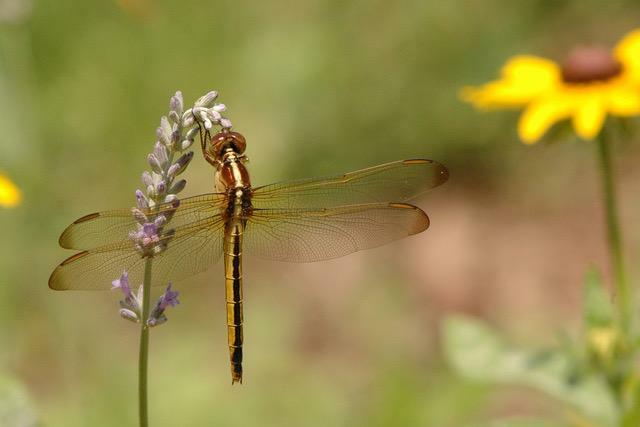 The samples are taken because dragonflies are in the nymph stage for a long enough period of time to accumulate toxins such as mercury from the water column. Thus they are considered bioindicators. 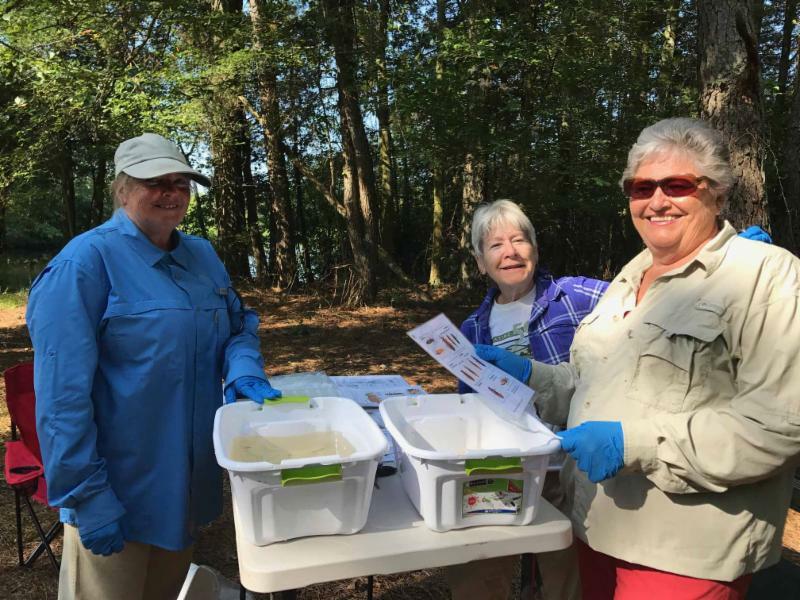 The samples that were acquired are sent to a lab for analysis and in turn to the National Park Service, who are conducting a nationwide survey of sites to determine the extent of mercury contamination in federally-protected lands and waters. Almost 40 volunteers dedicated 179 hours to this project in just 3 days. On June 22nd Jane Morton Galetto attended a Nuclear Matters forum in Trenton. The panel explored the role of nuclear energy in the context of limiting carbon impacts and global warming. A number of environmentalists are reconsidering nuclear energy in light of the warming of the planet. The lowering of carbon standards would/will mean a greater reliance on gas and the possible demise of nuclear. Salem has averted 500 million tons of carbon dioxide. Although storage of nuclear waste and thermal impacts remain considerations, a number of ardent environmentalists are proponents of nuclear energy as a necessary component in meeting our energy needs. Remember to check our calendar. Please keep us posted about any changes in your email or mailing address. Our communications contain a helpful stream of reminders and updates that you won’t want to miss. 30 for families, although our average annual donation is approximately $75. Mail your check to PO Box 474, Millville, NJ 08332 or join online.